These visuals keep making my jaw hit the floor. I really appreciate video games with visuals reminiscent of real world styles. Such as Puppeteer's dedication to their wood and string motif, or how Little Big Planet looks like everything is made of yarn. 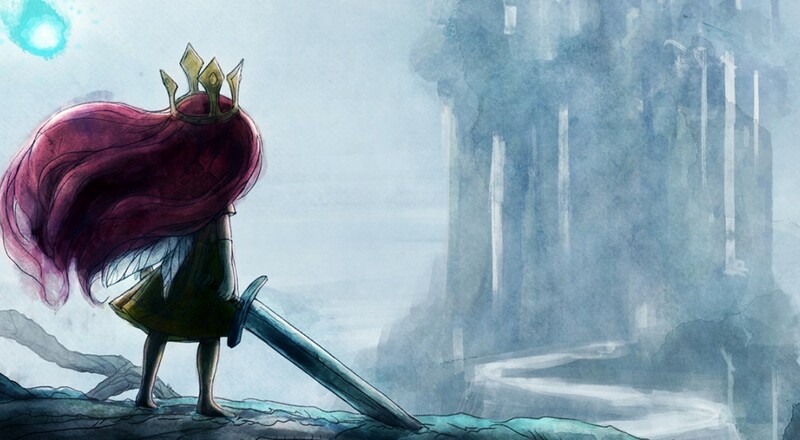 Child of Light continues to be a feast for the eyes with its watercolor / coloring book look. Such a charming sense of style lends itself to the comparison of a fairy tale, which is apt for a game about a girl with wings. Ubisoft has generously provided a gameplay walkthrough of the game showcasing how you and a friend will control Aurora and her little firefly buddy Igniculus. Here we get a glimpse of the platforming, character interaction, and even some combat. It doesn't hurt that it's narrated by the lead programmer, Brainna Code. Seriously. This girl's voice is like honey. The systems at play here seem a a lot deeper than the cute and charming graphics would suggest. While applying different gems into the crown isn't exactly a new concept in games it's still cool that there is a greater level of customization. I'm interested to see just how deep Aurora's skill tree goes and what other abilities she can unlock throughout her journey. It's impossible for me to not be excited for this game. The design is too gorgeous, and I'm very eager to see Ubisoft's take on JRPGs. Of course, it's being developed in Montreal, so I can't really call it a JRPG. Maybe now we can usher in a new era of quality Canadian RPGs.